According to the press release, it was the biggest Italian Wine Event outside Italy. 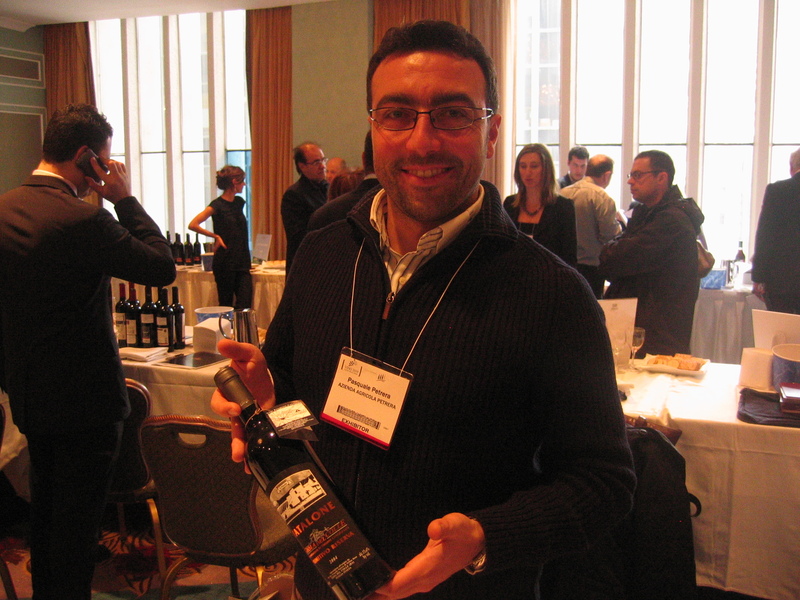 Following are my adventures at Vino 2010 from Feb 3 to 5, 72 hours of non–stop Italian wine! Next was the Inaugural Press Conference – The Italian Trade Commission, Buon Italia and Vinitaly 2010 present Vino 2010 Italian Wine Week in NY. The moderator for this panel was Kevin Zraly. It was an introduction to what would be happening at the conference and information about Italian wine and its impact on the American market. Mr. Zraly did a great job as always. Then there was a Vinitaly press conference and wine themed lunch. 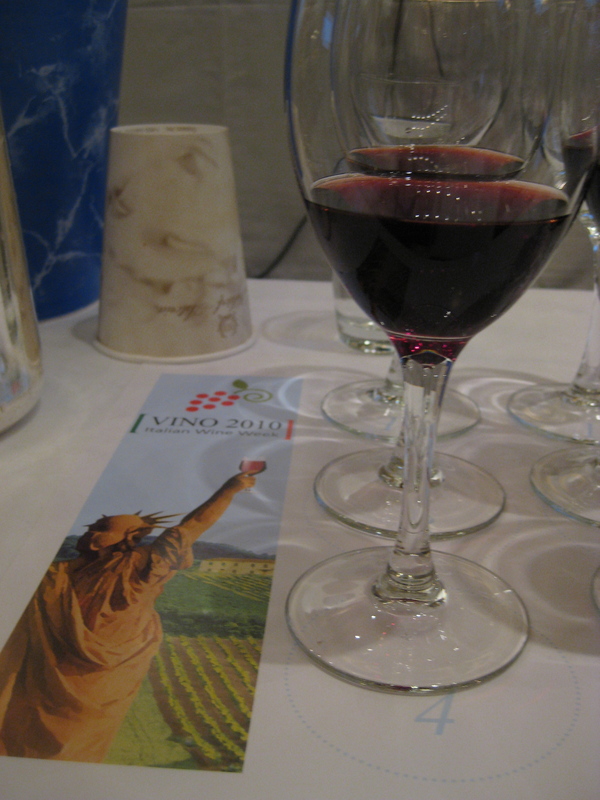 The regional sponsors of Vino 2010 were Tuscany, Apulia, Calabria, and the Veneto. It was now 2:00 PM and there were four seminars. I went to a guided tasting of the wines of Calabria: “Gaglioppo the Great: The New Generation Of Southern Reds”. There were eleven wines, one from each of the producers on the panel. 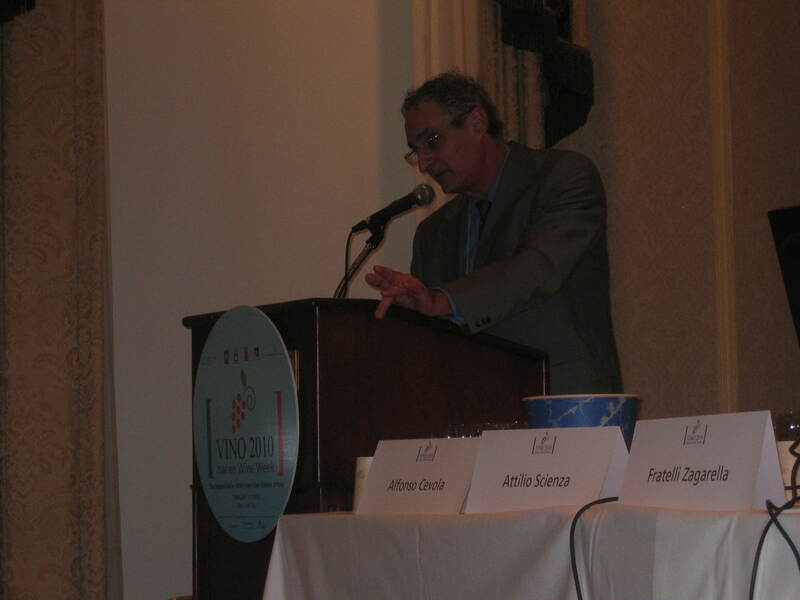 Alfonso Cevola was the moderator and if a producer was not present Mr. Cevola spoke about that wine. Not all the grapes were Gaglioppo. There were wines made from Malvasia Nera, Greco Nero, Magliocco , Nerello Cappuccio, Nerello Calabrese and two grapes which to my knowledge I have never tasted, Arvino and Lacrima Nera. Calabria I.G.T “Alfieri Rosso” 2008 100% Malvasia Nero fromFratelli Zagarella $15-20. Savuto D.O C.”Vigna Colle Barabba” 2008 Colacino Wines Made from Arvino, Greco Nero, Magliocco Canino and Nerello Capuccio. Ciro Rosso Classico Superiore D.O.C. 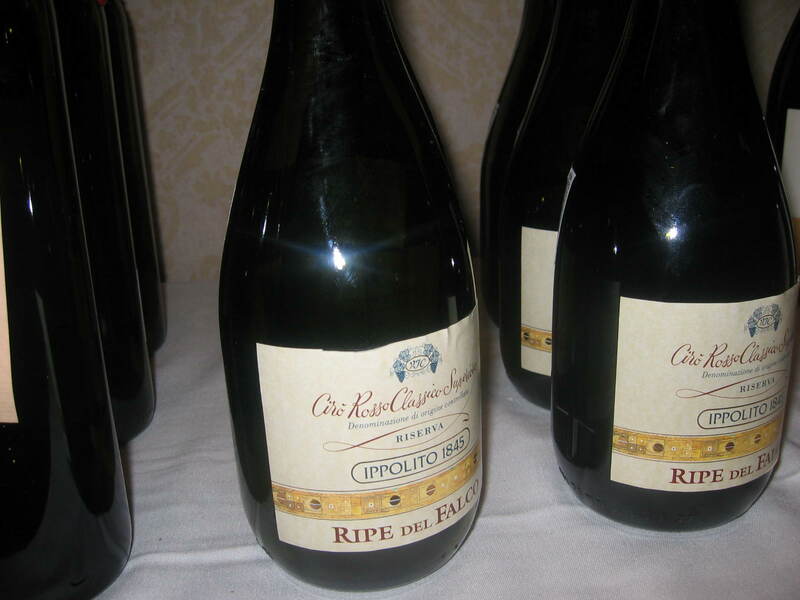 Superiore Riserva “Ripe del Falcone” 1997 100% Gaglioppo Ippolito $50-60. I was very impressed with this wine and it shows that wines made from this grape can age. From 5 PM to 7PM there was another tasting: Inaugural Wine Tasting Reception ”Prosecco and Oltrepo Pavese: Unique Expressions of Italian Sparkling Wine”. Then it was off the Friuliano Dinner at Le Cirque. Here I tasted the Ramandolo from Azienda Agricola Giovanni Dri. It is made from the Verduzzo grape and is one of my favorite dessert wines. Thursday was going to be a long day. It started at 10:00 AM with 8 seminars, another press conference, a breakfast presentation and a tasting of Italian wines available in this country for the first time scheduled for the day. I was not able to do it all! But I tried! Last year at Vino 2009 I was part of a panel on the media and Italian wine. Someone in the audience said that next year the panel should be made up of more bloggers. The Italian Trade Commission took note. This year the seminar was all about blogging and its influence on Italian wine. The moderator of the panel was Anthony’ Dias Blue and he was the only one on the panel who was part of the “traditional media”. There was even an “official blogger” for Vino 2010. The panel discussed topics such as wine blog content, how precise wording can affect traffic, conversations, and effectively reaching a target audience. Susannah Gold discussed how the Public Relations industry has adapted social media in terms of identifying and catering to relevant blogs and how to get the biggest and most measurable impact from social media campaigns. Sussanna Crociani spoke about using the web to promote her winery Cantina Crociani. Doug Cook spoke about Twitter and tips on how to get the most out of it. 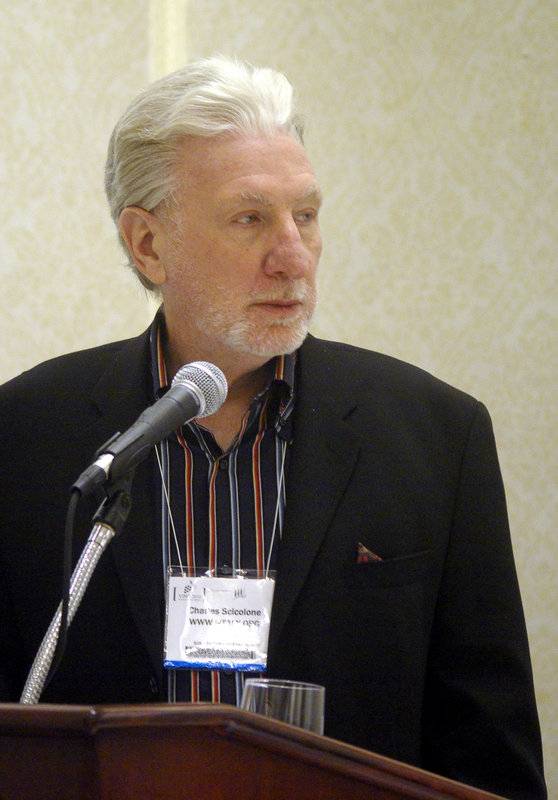 Steve Raye gave more direct business insight into the web. Alder Yarrow www.vinography who has been very successful with both consumers and the wine trade on his blog gave very practical information. Italian –American Food… why DON’T it get NO Respect “ It is a subject on which everyone has an opinion and there were many comments and question from the audience. Michele wrote an excellent article on the seminar for http://www.i-italy.org/bloggers/13119/italian-american-food-vino-2010 so I will not repeat the same information and opinions here. At 2:00 PM I went to the next seminar which was part of The Italian Wine Masters Series. 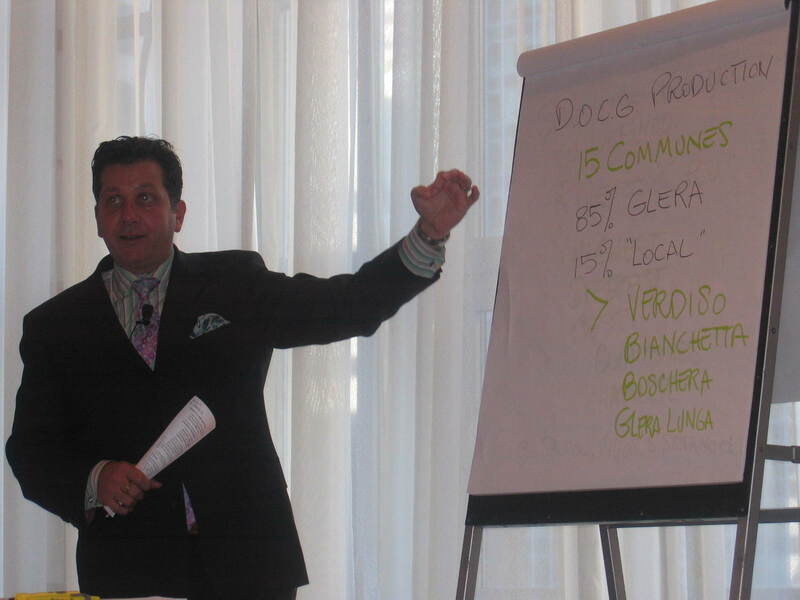 The speaker was Anthony Giglio and the title of the seminar was “The Elevation of Prosecco Conegliano Valdobbiadene”. Mr Giglio is a very entertaining speaker and gave a very lively talk on Prosecco. I am a big fan of Prosecco and I liked all seven wines tasted, but my favorite was the Bisol, Conegliano Valdobbiadene Superiore di Cartizze, Dry. Cartizze is the most expensive Prosecco but well worth the money. After this seminar, I went to the The Italian Wine Makers Grand Tasting: “Tuscany and Prosecco”. There were over 140 producers representing Brunello di Montalcino, Chianti Classico, Vino Nobile di Montepulciano and Conegliano Valdobbiadene Prosecco Superiore. I made a point of tasting the Banfi Brunello 2004- -I tasted it last year and still think it is their best Brunello. I tasted many more wines and then it was back upstairs for The Italian Wine Master Series” Terroir: Diversity and Complexity of Brunello di Montalcino, Vino Noble di Montepulciano and Chianti Classico” again hosted by Mr Giglio. There were nine wines and my favorites were: Chianti Classico D.O.C.G Riserva 2006 Badia a Coltibuono. Vino Nobile di Montepulciano 2006 Lodola Nuova. Brunello di Montalcino D.O.C.G. 2004 Riserva Il Poggione and the Brunello di Montalcino D.O.C.G 2004 La Fiorita. 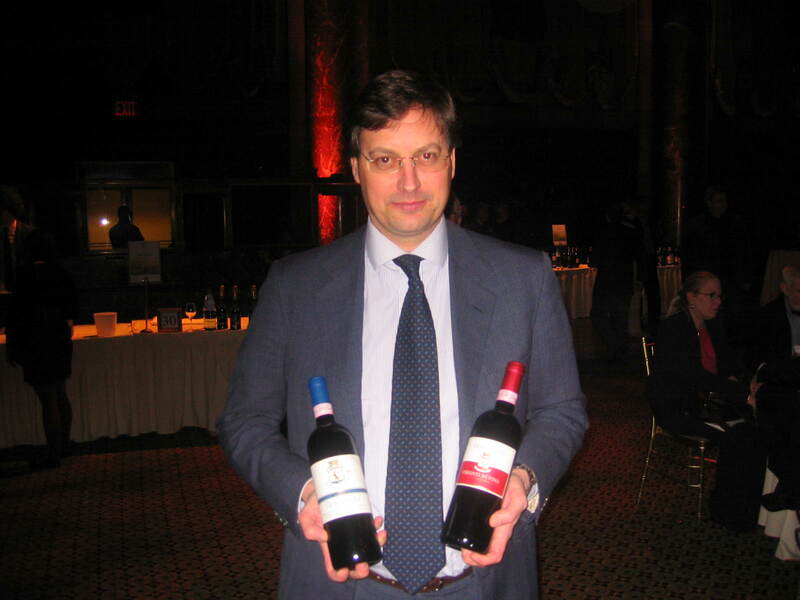 Next stop was Cipriani on 42nd Street where there was another Italian wine tasting being presented by Luca Maroni, Sense of Wine New York., There were 70 Italian wines to taste and it was also sponsored by Buonitalia and Vinitaly 2010. Here I ran into a friend I had not seen in a few years, Giovanni Busi from Agienda Agricola Travignoli, the makers of Chianti Rufina. Back to the Waldorf again for a dinner hosted by the Region of Apulia. Since I was the moderator of a panel with the Apulian producers, I went in hope of meeting some of them. They, however, were having dinner out–after all, they were in New York. The speaker was Tom Maresca, a wine writer I know very well. We often travel to Italy together and Tom gave a very interesting talk and we had a great time. On Friday I was the moderator for the panel on “The Remarkable Wines of Apulia”. I spent the rest of the day at the Grand Tasting where there were close to 300 producers. I cannot wait until VINO 2011. You were busy as was I – and just about everyone else during this week. Nice summary and here’s to another great week during VINO 2011! I recently returned from a twelve day wine tours and wine tasting courses from Lucca, Montecatini Terme, Florence and Pisa.